A special city advisory group conducted a recent public hearing on the name change and is expected to make its recommendation to the city council on Oct. 5. ALEXANDRIA, Va. — Alexandria has moved another step closer to renaming Jefferson Davis Highway, following the city council’s decision that the roadway will no longer bear the name of the Confederacy’s one and only president. About a half dozen citizens offered their ideas for new names at a public hearing Monday night at the Oswald Durant Art Center. “I think they should consider naming it after Gen. Samuel Vaughn Wilson,” said Alexandria resident Billy Ciucci. Wilson served four decades in military intelligence and helped shape U.S. special operations including Delta Force. A special city advisory group conducted the public hearing and is expected to make its recommendation to the city council on Oct. 5. Ryan Moore, another Alexandria resident, offered the panel two ideas. Most of the name choices have come in an online survey. “Abraham Lincoln, Alexandria-Arlington, Barack Obama, Heather Heyer, Mildred and Richard Loving, Patrick Henry, Richmond, and U.S. Route One,” said Craig Fifer, spokesman for the city of Alexandria, listing eight names that have each received at least 100 citizen votes. Fifer cautions that the renaming of Jefferson Davis Highway is not a contest or a popular vote. The advisory group is free to choose among the recommendations or offer another name when it makes its Oct. 5 recommendation. And it’s up to the city council to decide, sometime in November. 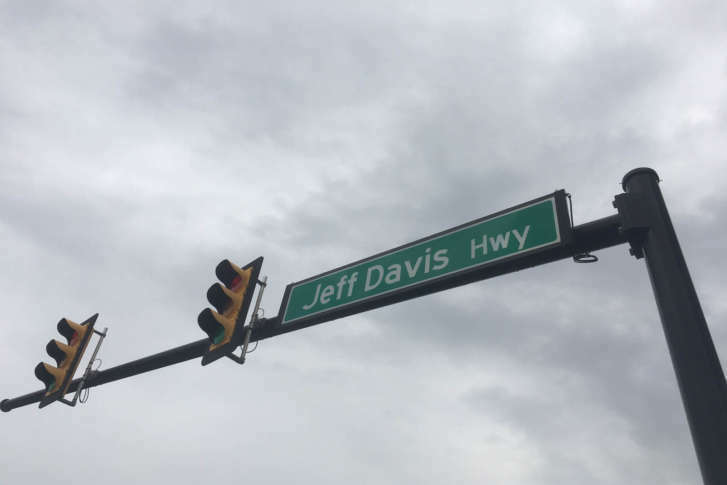 When the city scraps the name of the Confederate president, other stretches of Route One in the state still named Jefferson Davis will remain.